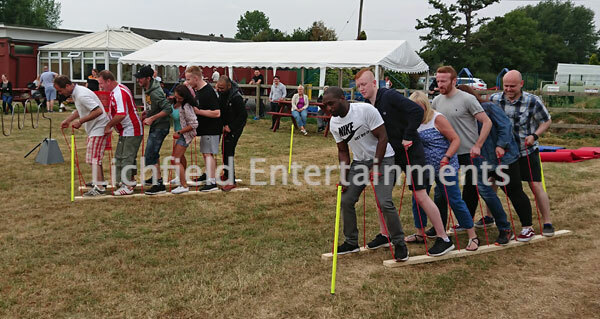 The Human Caterpillar and Human Centipede Skis are two great new team building games that were added to our range late in the 2018 summer season and for 2019 we've now added the Team Tubes. In all three games two teams race against each other but success relies on teammates working and communicating together. With the Centipede Skis all teammates must lift their feet and take their steps at the same time. You can have a simple race over a straight distance or make things more interesting where the teams have to work themselves through a slalom course of poles and even includes obstacles to be stepped over and time penalties for poles or obstacles struck. With the Human Caterpillar the teammates have to work together feeding the caterpillar track around the whole team as they try to get from start line to finish line quicker than their opponents. Team Tubes involves the team members straddling the large inflatable tube and all bouncing together at the same time to move the tube forward. 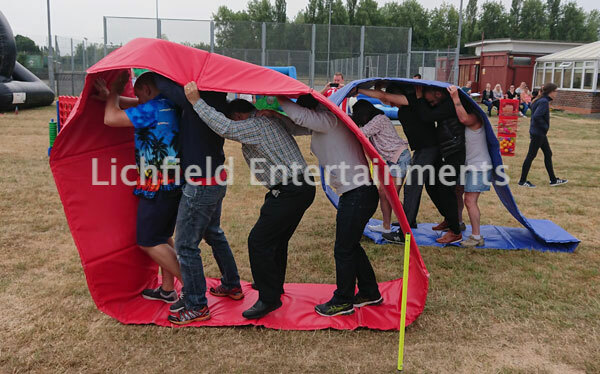 Our most popular hire item for outdoor team vs team events is the modular inflatable assault course. 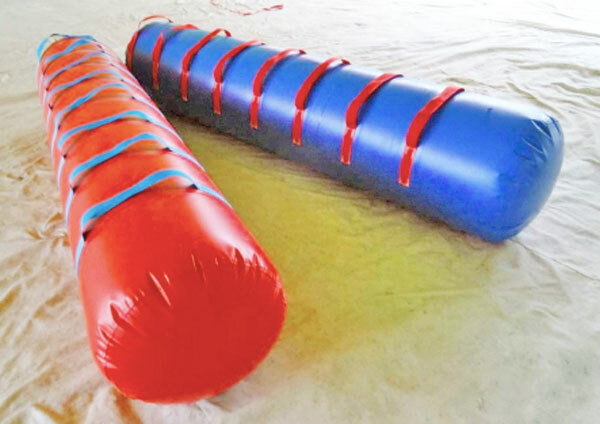 We have these available in lengths ranging from 70ft to 140ft and they can include tyre runs, crawl tunnels, scramble mattress, biff-bash, slides, and knock over flip walls. For more details please see the ADULT ASSAULT COURSES	page. 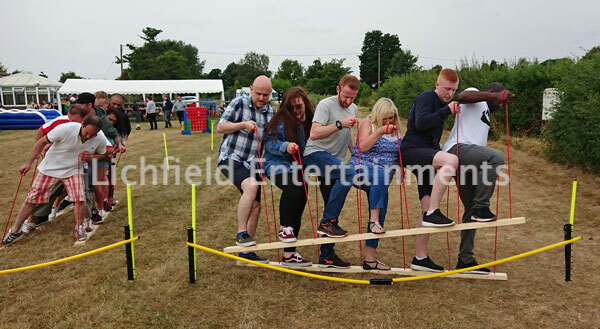 We hire out our team building games to events throughout most of the UK including Birmingham and the Midlands, Buckinghamshire, Cheshire, Derbyshire, East Midlands, Gloucestershire, Leicester, London, Manchester, Nottingham, Oxford, Shropshire, Staffordshire, Wales, Warwickshire, West Midlands, Worcestershire, Yorkshire. If you have any queries, questions, or would like to hire the games for your event please click here to enquire and we will do all we can to help.